It is clear to Shola that she is not, in fact, a dog. People may have been trying to tell her otherwise for dog years, but a trip to her owner's library finally has her convinced: she is, in fact, descended from the Kings of the Savannah. But how will she take to her new-found lineage? Will she finally get the respect she deserves from her fellow citizens? Most importantly, now that she has been identified as a powerful predator, does this mean no chips again... ever? Bernardo Atxaga (Joseba Irazu Garmendia, b. 1951) is an award-winning Basque writer, whose work spans adult and children's prose, poetry, radio, cinema and theatre, as well as short stories. He first achieved national and international fame withObabakoak (1988), which won the National Literature Prize 1989 and has been translated into more than twenty languages. His novels have won critical acclaim in Spain and abroad; most recently, Margaret Jull Costa's translation ofSeven Houses in France was shortlisted for the 2012 Oxford Weidenfeld Translation Prize. Born in Vitoria-Gasteiz, the prize-winning writer and illustrator Mikel Valverde Fine Arts, where he started creating comics, and illustrations for his own stories. 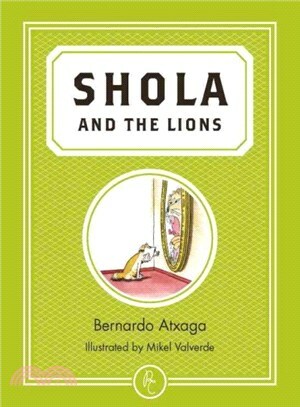 He and Bernardo Atxaga have published several books together since then, in addition to the Shola stories.